‘Scéalta na nÓstán’ is a nostalgic series which reveals the history and inside stories of Ireland’s landmark hotels, using personal reminiscences as stories are brought to light with fascinating nuggets of history and heart. Using a mixture of interview, narration, and archive, this series reveals the extraordinary stories behind some of Ireland’s most significant hotels and the impact these top brand hostelries have had on their local communities. 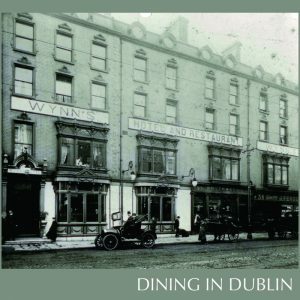 In this episode we visit Dublin’s Wynn’s Hotel, the Shelbourne Hotel and the Royal Marine Hotel in Dun Laoghaire. Sraith faoi leith is ea ‘Scéalta na nÓstán’, a thugann léargas ar ghné thábhachtach den stair shóisialta in Éirinn agus súil siar á caitheamh ar chuid de na hóstáin is mó atá luaite le stair na turasóireachta sa tír le seasca bliain. Bhí cáil i bhfad is i ngearr ar chuid de na hóstáin seo agus bhronn stádas áirithe ar éinne a mhaígh gur fhan sé/sí iontu. Sa chlár seo tabharfaimid cuairt ar Óstan Wynns agus Óstán an Shelbourne i mBaile Átha Cliath agus Óstán an Royal Marine i nDún Laoghaire.